If you want to lose weight, try these portion control tips. Some are easy, some are straightforward, but all of them work. Vegetables, especially fluffy green ones, take up a lot of space. But they don't actually contain a lot of calories. Filling up your plate with a salad is a way to make your portion seem bigger than it really is. Which will make your stomach and appetite happier, as well as your waistline. When you're eating out, enjoy yourself - but it's easy to eat a whole lot! An easy way to eat less is to not order appetizers - but if you have to, get a salad. Also, leave some food left over at the end to take home. You can easily flag a waiter over to box up your meal, which will prevent you from picking at it more. Cooking your own meals is a great way to control exactly what you eat. And put all these portion control tips to work, since you are in complete control of your own portions. Buy healthy foods and cook your own small meals. And make sure they are small, or meals that can be easily broken up and saved for later. When have you finished your meal? You might think that it’s not until you are satisfied. But satisfying your appetite is probably not the best cue for being done. Actually, finishing the food in front of you is usually the signal to stop eating. Using smaller plates and shallow bowls will encourage you to serve smaller portion sizes. But the food will still fill the plate - so it won't seem like you're eating less. Just don't pile your food higher since you have 'healthier' plates. The plates won't magically change how much you eat - though they'll help. If you're not eating that much, make sure that what you are eating is delicious. Buy high quality cuts of meat, and fresh exotic fruits and vegetables. Especially when you go out to eat, there is the expatiation that you want to 'get your money's worth'. This is mostly an American phenomenon, but I've seen that idea with other peoples as well. But, especially when you're dieting, do NOT go to a buffet. Go someplace where you won't even need these portion control tips - Japanese and French restaurants are good choices. And when you cook at home, cook the good stuff. Don't just do a heaping bowl of pasta. "There are starving kids in China who would love that food - so eat up!" Your mother loved you, and her directions to eat up were an expression of that love. However, the time to clean your plate at every meal has passed. There are long traditions in many cultures of eating all the food that was put in front of you. And up until around even 50 years ago these traditions worked well - since there wasn't nearly so much food everywhere. But times change faster than cultural traditions do. Now, it makes more sense to practice the habit of leaving some food on your plate. This is one of those portion control tips that will naturally lead you to eat less. The important thing to understand is that by leaving food on your plate you are not wasting it. Wasting food would be eating more than you need and just storing it as fat - that's a true waste! As you might have heard, it takes time for your stomach to register that you're full. So, give it that time! Eat slowly and drink lots of water. And if you're still feeling a bit hungry - wait. If you're still hungry in about 20 minutes, get some more to eat. But I'm betting you'll be surprised at how being full sneaks up on you. This is one of those ludicrously simple portion control tips that you might not have heard of. Actually move the food away from you, to signal to yourself and others that you're done. If the food is farther away, you'll eat less. And eating less. 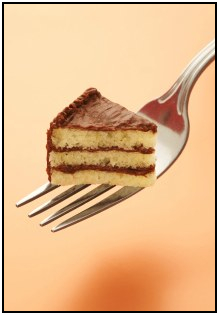 Which is what all these portion control tips are designed to do, will help you lose weight. 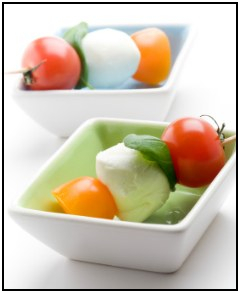 • Click here to leave 'Portion Control Tips That Actually Work' & go back to the Home-page!